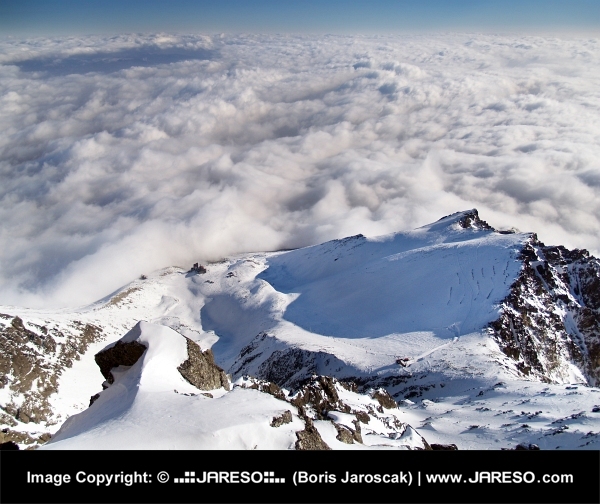 View from the Lomnicky peak (Lomnicky stit) during winter in the High Tatras of Slovakia with clouds in background. 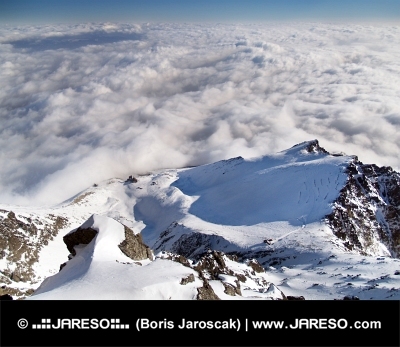 Lomnicky peak is with its altitude of 2634 metres above sea level the second highest peak in the High Tatra mountains. Small building of cable railway can be seen in the distance on the left side. On the right side there can be seen the highest slope in Slovakia (Lomnicke sedlo).